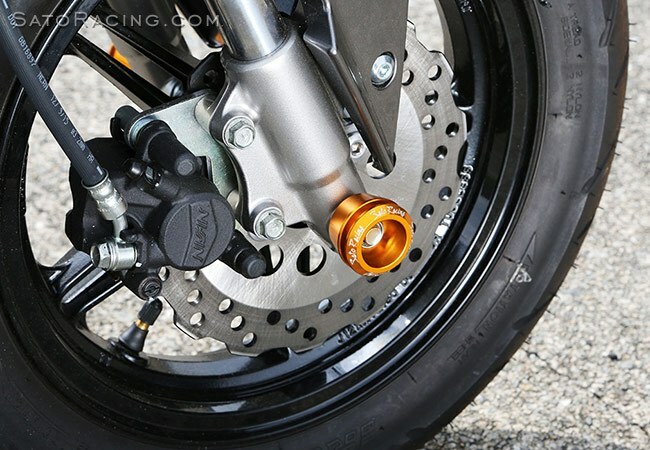 SATO RACING Axle Caps set of 2 attach to the front or rear axles on Honda Grom, Kawasaki Z125 Pro, or other models with 10mm-12mm axle diameter. The standoff of these Axle Caps should help protect the axle area from damage in a tip over or crash. Deep inner grooves. Made of billet aluminum in your choice of Gold or Red anodized finish.